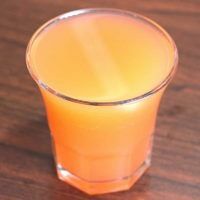 The Orange Blossom cocktail is a classic Prohibition-era drink. It’s one of those cocktails with the power to make you feel like it’s a sunny day on the beach, wherever you are and whatever the weather’s like. The flavor mainly comes from gin and orange juice, but there’s more to it than that. There are a few variations on this drink, and they differ by a lot. That means you can tinker with this recipe all you want and still call it an Orange Blossom. Some variations are gin, orange juice, and sweet vermouth. I prefer this version which features gin, orange juice, a touch of Patron Citronge, a touch of lime juice, and a little bit of grenadine. I think it’s just the right balance of sweet and tart notes. But your mileage may vary. If you don’t care for grenadine, you can use gomme syrup or simple syrup and avoid the berry flavor. If you don’t want the lime, you can leave it out. As for the Patron Citronge, you can use a different orange liqueur or leave it out altogether. It just deepens the flavor of the orange juice and adds a little sweetness. Most variations on this recipe call for different amounts of the same ingredients, but others use Cointreau instead of gomme syrup or grenadine. Because this one’s been around so many years, there are quite a few variations – and of course, you should always feel free to make up your own. Most recipes call for gomme syrup as the sweetener, but using grenadine instead adds some pomegranate flavor. The Orange Blossom cocktail recipe blends gin and orange juice with orange liqueur, lime juice and grenadine. It's a lightly sweet and fruity drink that would be great for brunch. Build the ingredients in a highball or martini glass with ice. I was interested in this cocktail because it was mentioned several times in The Winds of WR by Herman Wouk. It does sound like a bit of sunshine Perhaps it will grace my table this summer. Thank you. It needs a slice of lime too. This is a very good variation, but it’s better if you add a few drops of orange flower water.